The Year of New Editions rolls onward. This time, a favorite miniatures game is getting an update. 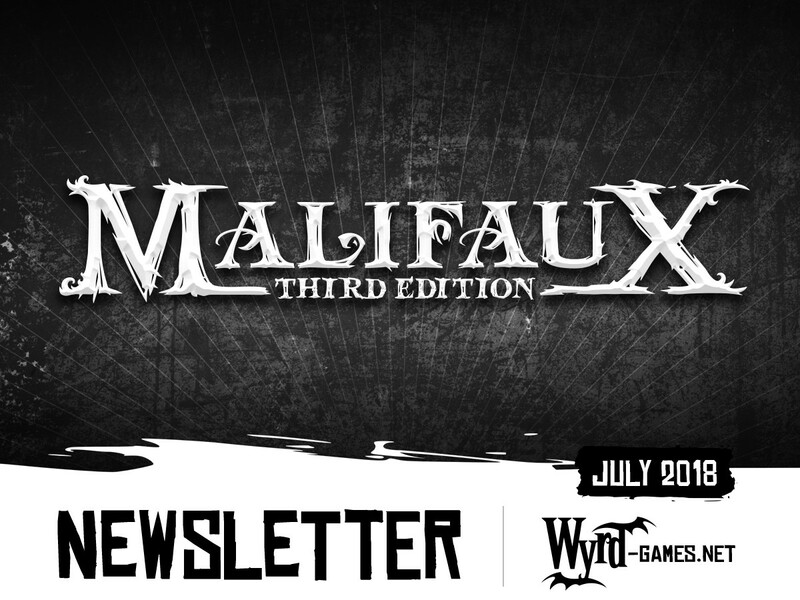 It's Wyrd Games and their flagship, Malifaux. It's moving to version 3.0, and they're looking now for people to be part of the Closed Beta for it. Check out some of what's been changed and see how you can sign up to help steer the course of this new version. 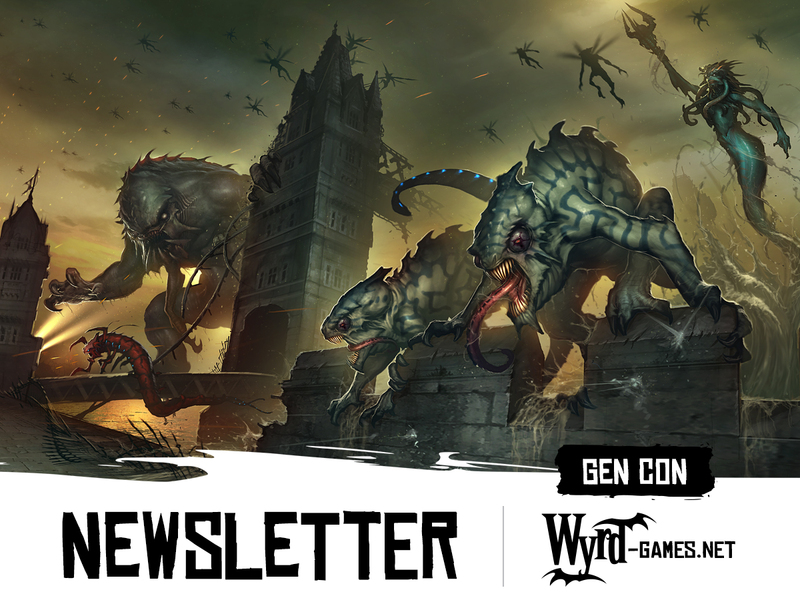 Wyrd Games loves to do special boxes and alternate minis during big events, and Gen Con is one of the biggest events in the gaming year. They've posted up a preview of this year's Gen Con Nightmare Box. It's goblins... and horsies. Small horsies. There's a lot of shady stuff going on. Having intel about it is crucial. Time to send in the Undercover Agents. What are they searching for, collecting info on, and who are they working for? You're not cleared for that information. Ok, so you've got a bunch more time on your hand, even after reading the latest issue of Game Nite. 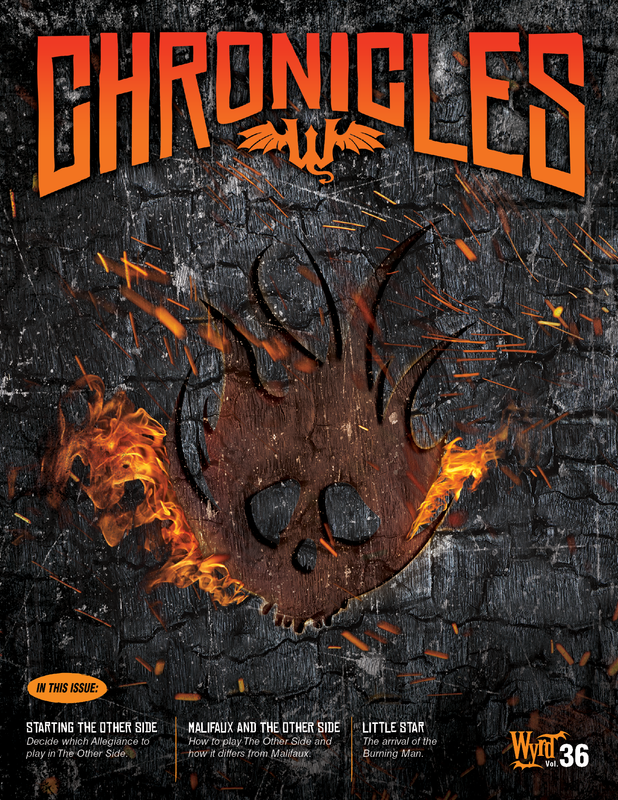 So, grab your copy of Wyrd Chronicles. Those other gamers will get here any time now. There are the people out there that can get things for you. You know the type. They're the ones that always have just what you need. 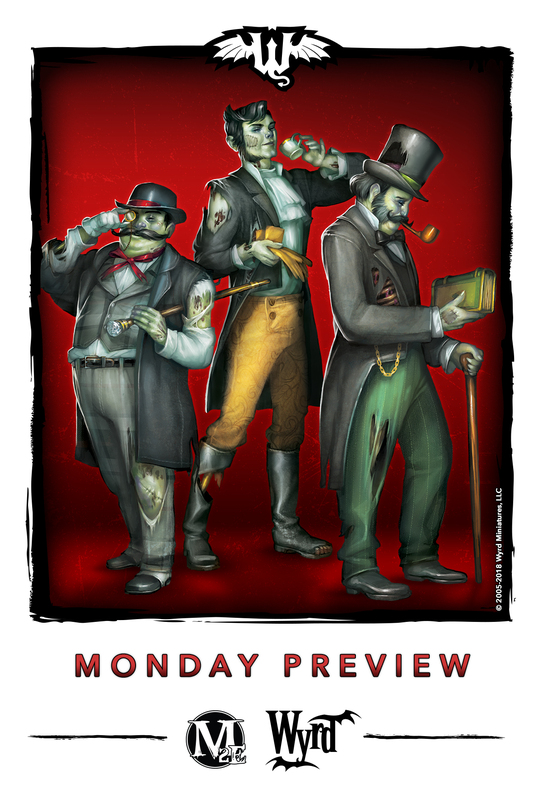 They're the hucksters, and they're coming to Malifaux. 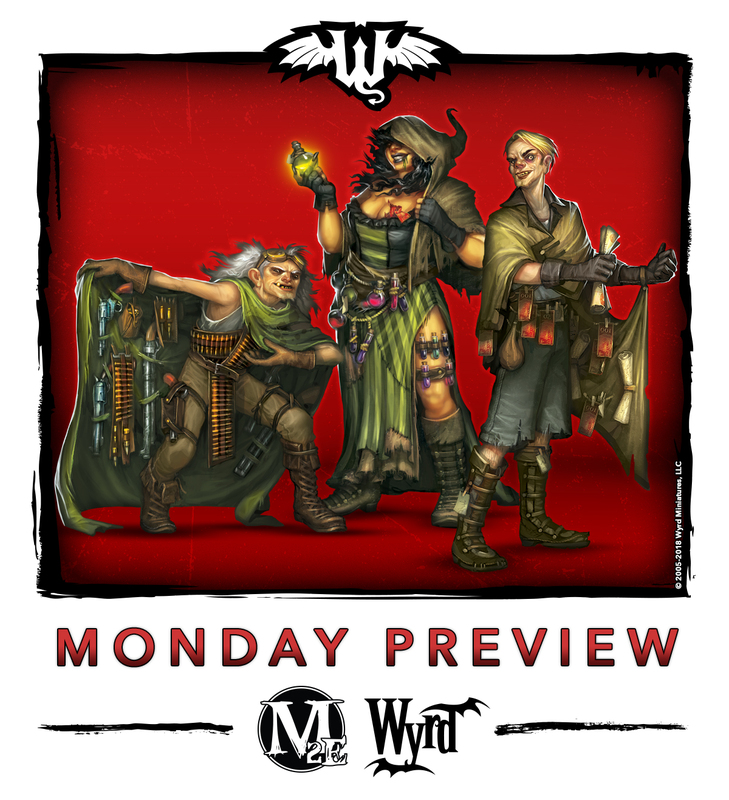 They're featured today in Wyrd's regular Monday Preview, making your Mondays just a little bit better. Thou shalt not provide false witness didn't make its way to the world of Malifaux. Or, at least, these members of the Guild just don't give a damn about all that. 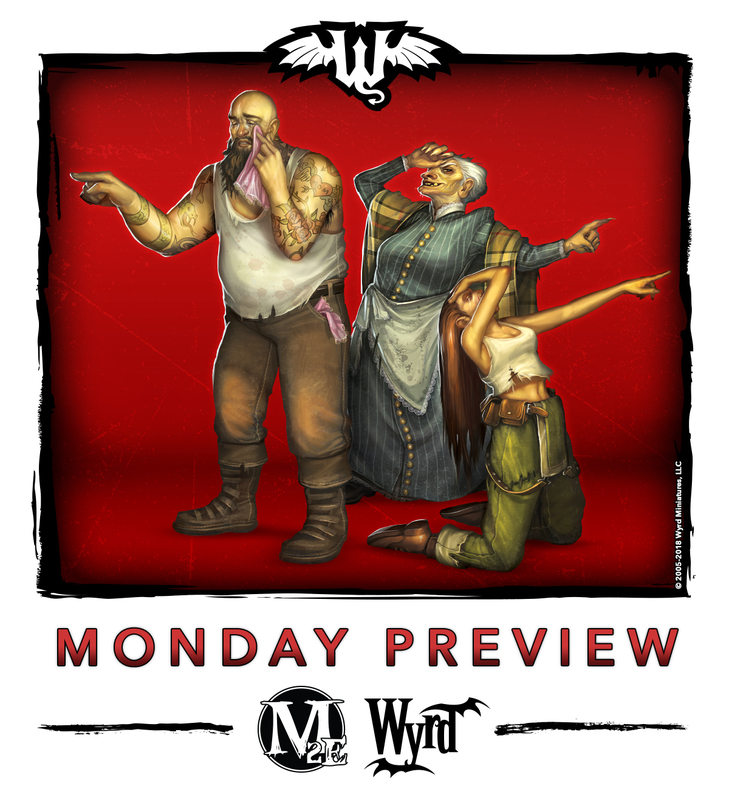 In this week's Malifaux preview, we get a look at the False Witnesses. Ok, so it's actually the first day of June, but Wyrd had this up yesterday afternoon, so it was still May when it hit. Squeaking in just over the line, though. 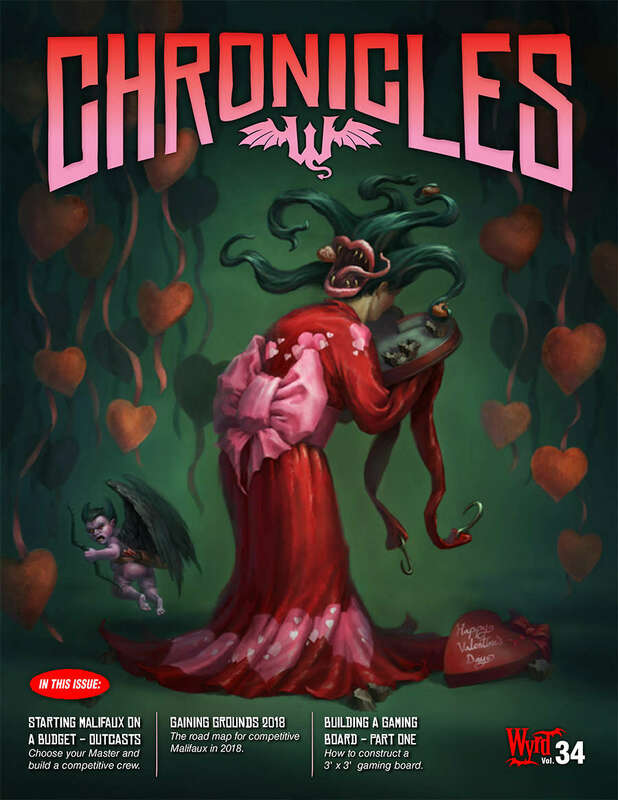 But better late than never, as this issue is filled with all sorts of information about Malifaux releases, Darkness Comes Rattling expansions, and The Other Side stuff, plus more. 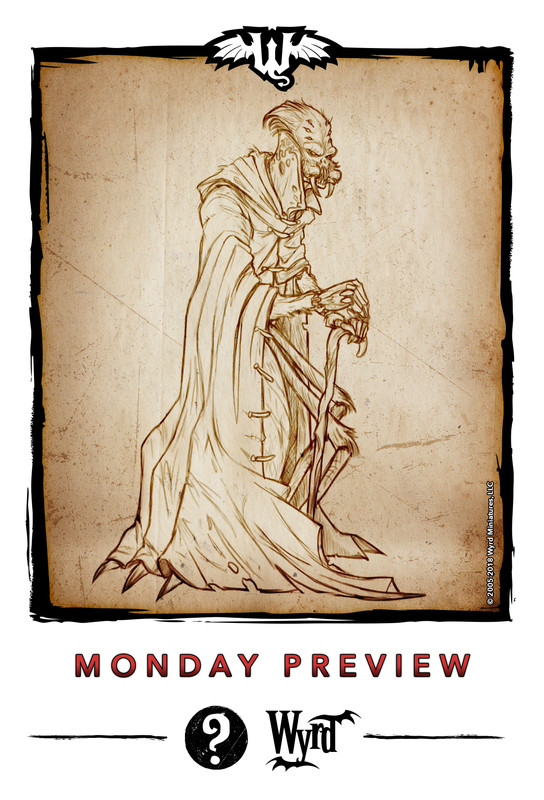 One of the things that makes Mondays better is that Wyrd's consistent with posting new previews... even if they don't tell us what it is they're showing us. 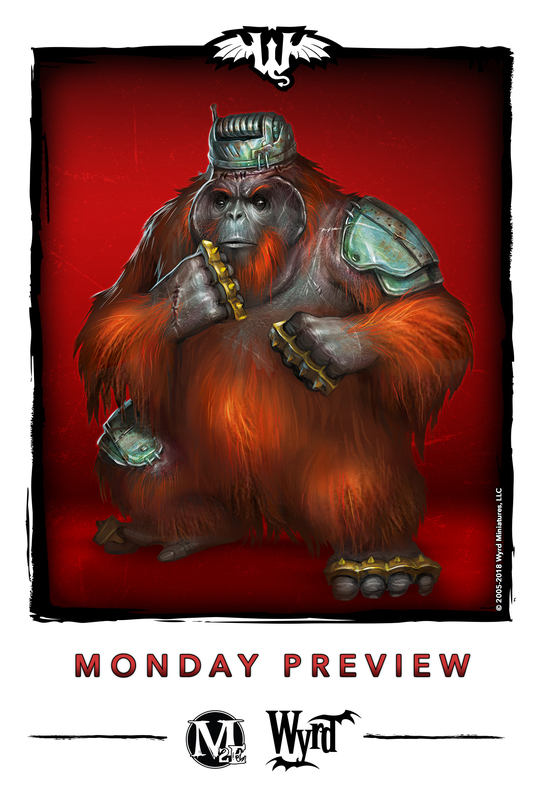 This week, we've got another of those Mystery Monday previews. Sometimes, you just need a bigger gun. 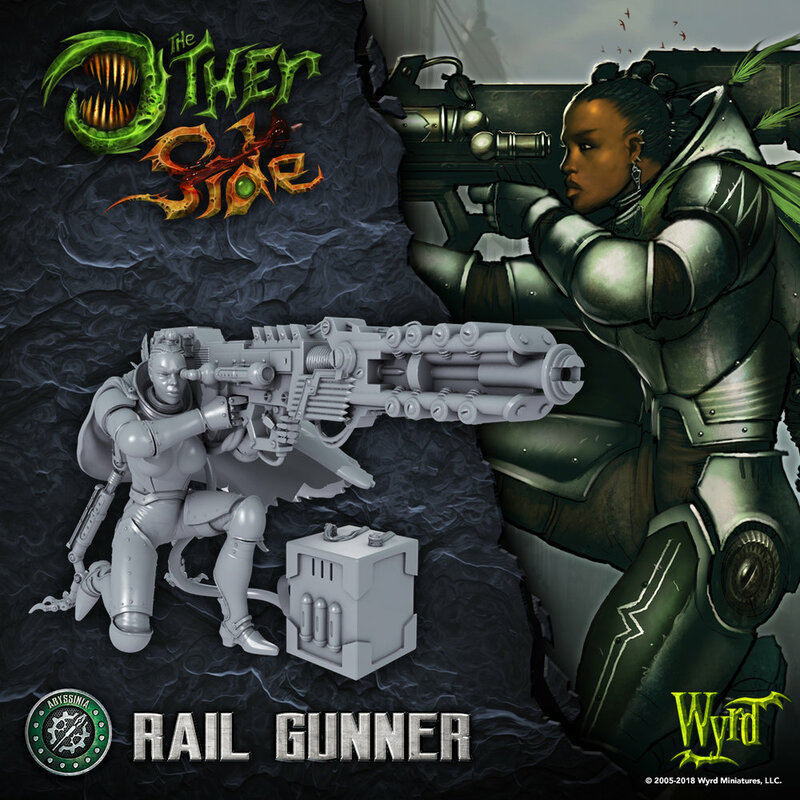 When that's the case, you might want to call in a Rail Gunner. 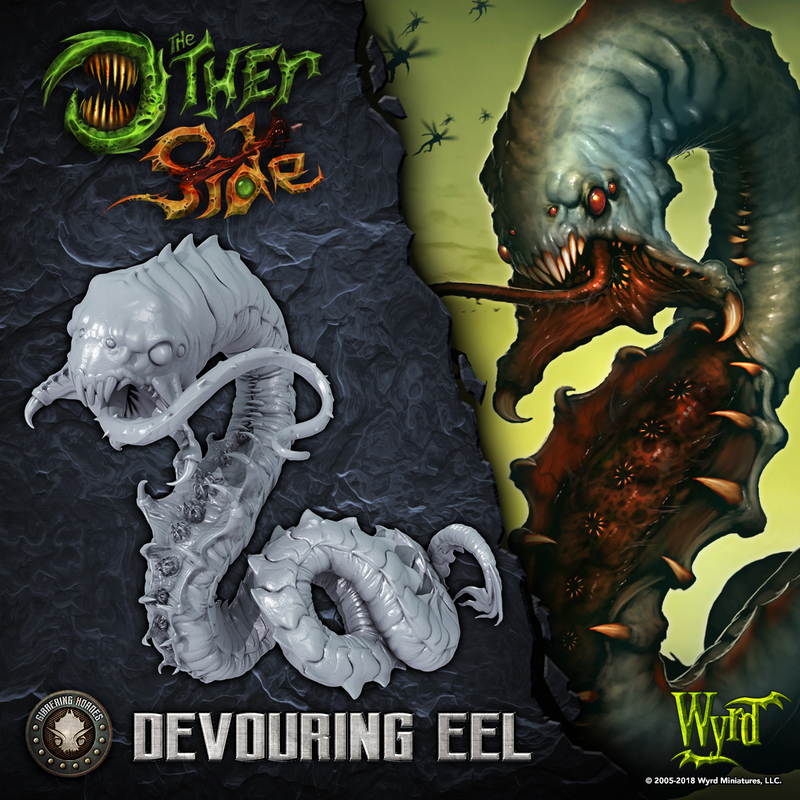 It's what's on preview today for Wyrd's The Other Side. And lemme tell you, I don't want to be on the wrong end of that thing when it goes off. I am not good at writing stories. Well, I mean, I can write news stories semi-ok, and articles about games, but when it comes to an actual story, I'm not so hot. But if you are, and you'd like to write for Wyrd, they're seeking a new Freelance Writer to join their team. 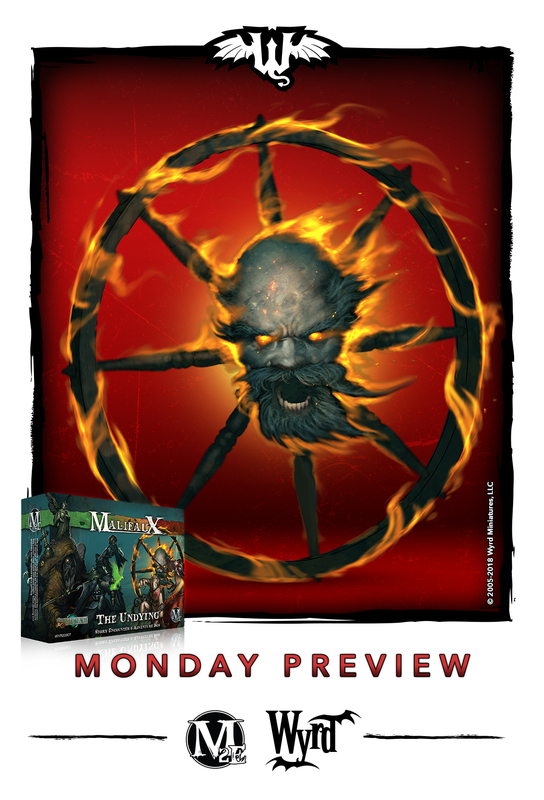 Another Monday, another Wyrd preview. This time around, it's the Mysterious Gentlemen. And what they're for is also a mystery. Wyrd's not letting us know. It's just up to our speculation to decide what they're about. So, I don't know what it's like to be killed by a hitman. So I don't know what it's like just before you die. But I am going to assume it's a lot like when you realize a mariachi band is about to play on the train. My apologies to John Mulaney for butchering that bit. 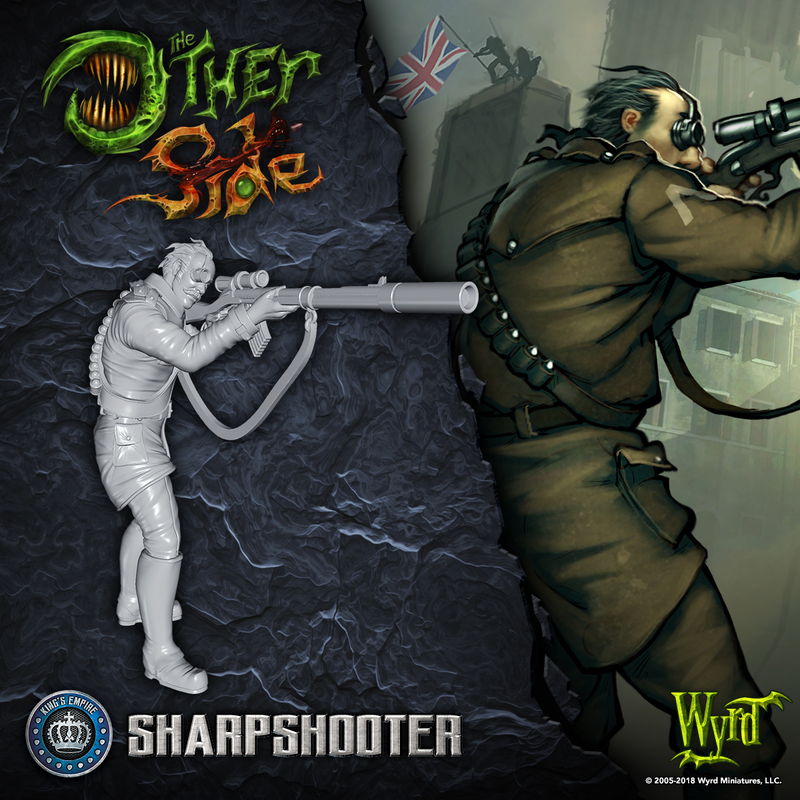 But we also have a look at a new miniature for The Other Side, the upcoming minis game from Wyrd. 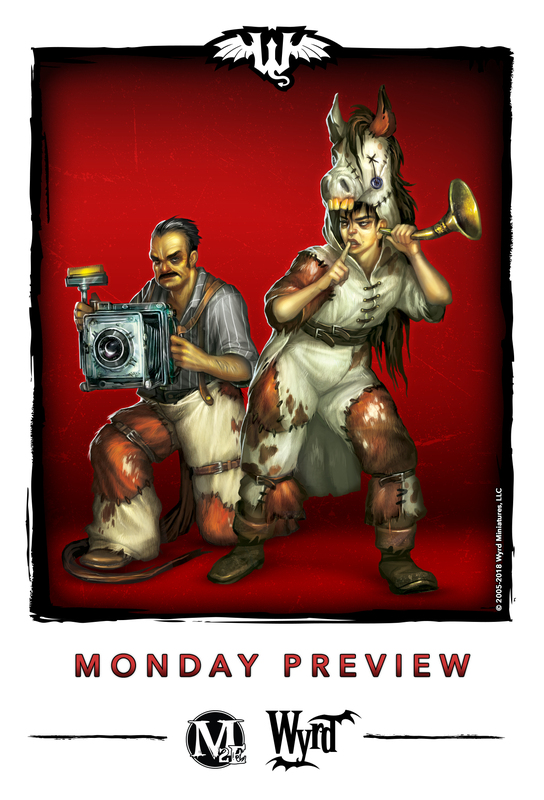 This week, they make our Friday better by giving us a look at the Sharpshooter. 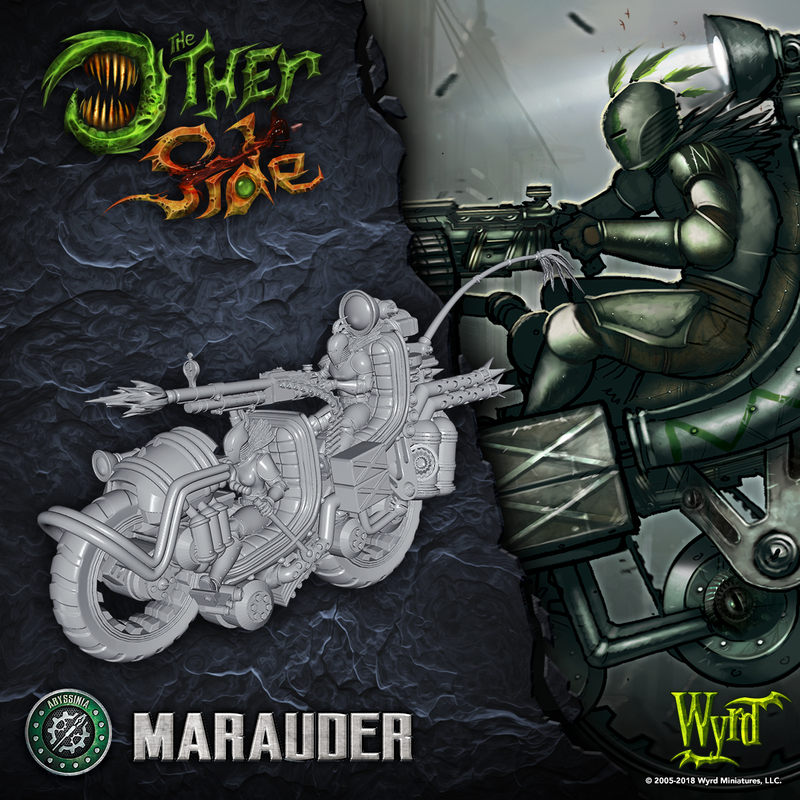 As is their tradition, Wyrd has posted up their Friday preview for The Other Side. I'm always happy to see them, 1) because I like previews and 2) it means it's Friday. Well, this one, when it popped up, I was like, "whoah!" because it's a giant lizard/dragon thing named Horomontangi. Fridays need more giant lizard/dragons. Well, one of the "dream job" openings that you don't see often in the gaming world has become available. Wyrd is looking for a miniatures game designer to add to their team. 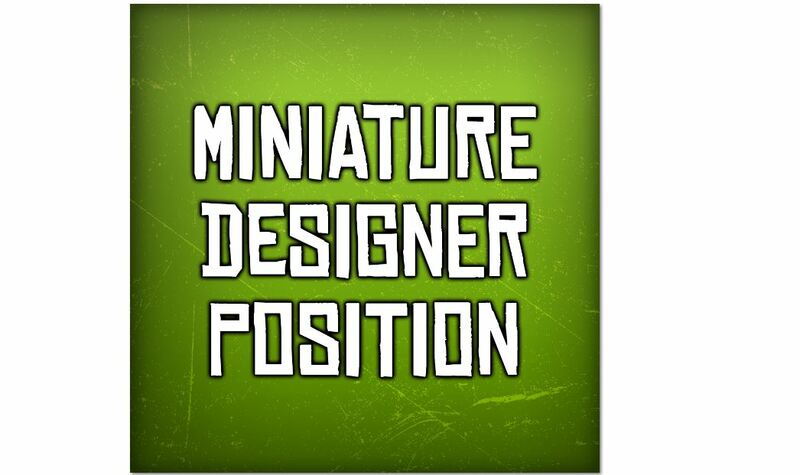 Do you think you have what it takes to work with one of the leading miniatures games out on the market? If so, get your resume together and apply now. 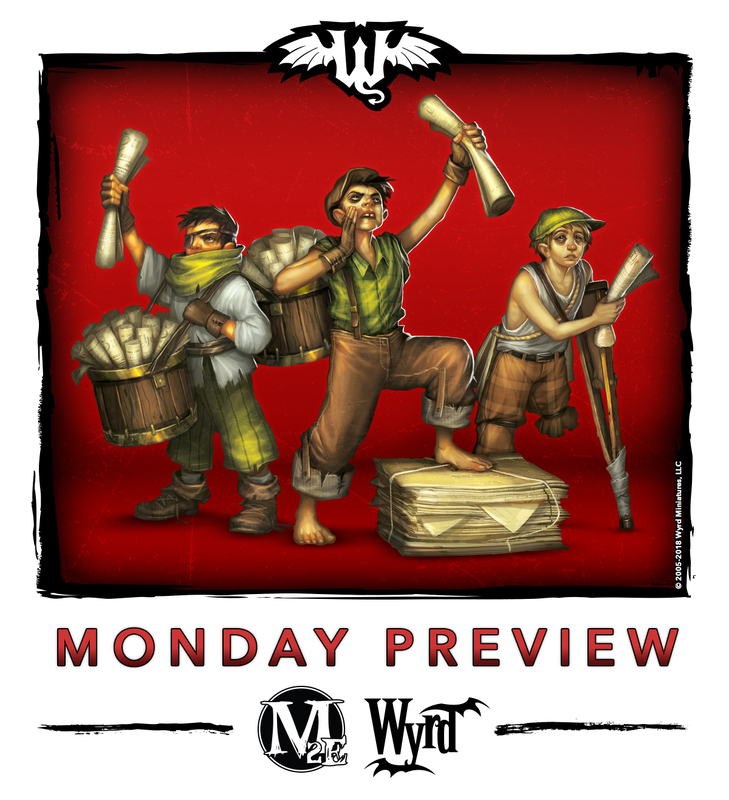 It's another Mystery Monday preview for us from Wyrd. Though last time it could be surmised that it was from their upcoming racing game, this one doesn't really look like that's the case. As usual, I won't let my own speculation get in the place of actually reporting on facts, so I'll just show you the picture and you can guess as to what it's for. You know, most of the stuff for The Other Side has a sort of steampunk/old-timey look to it. Basically a Victorian-era aesthetic. Today's preview looks much more futuristic than that. 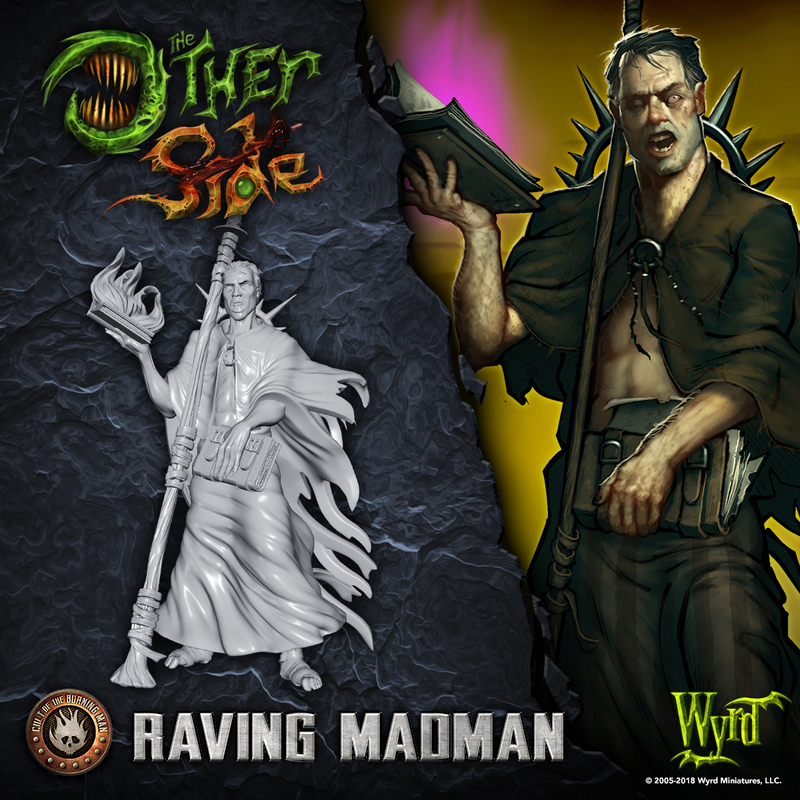 As always on Fridays, Wyrd makes them that much better with their The Other Side preview. In this case, we get a look at the Marauder. When you want to keep up with what a company's doing, it's helpful if they have some sort of concentrated place where you can find all such info. 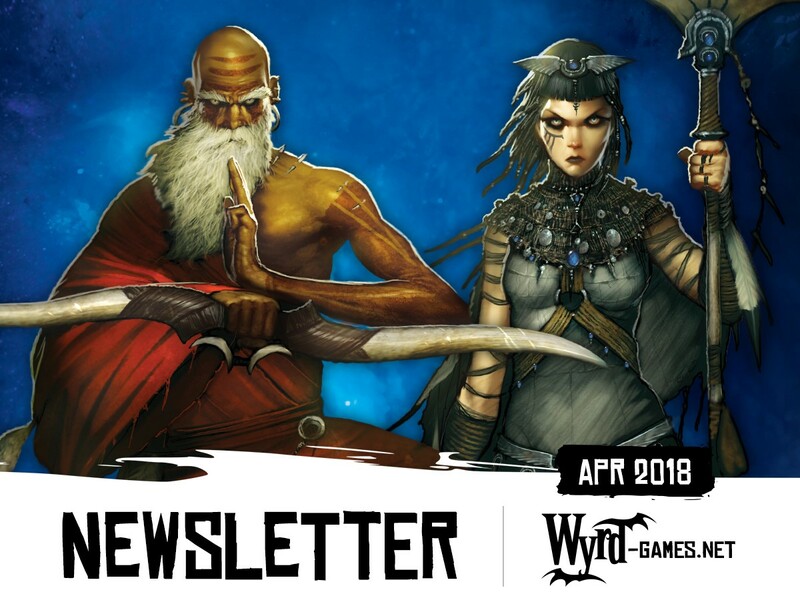 A newsletter's a good place to start, and Wyrd does one monthly. 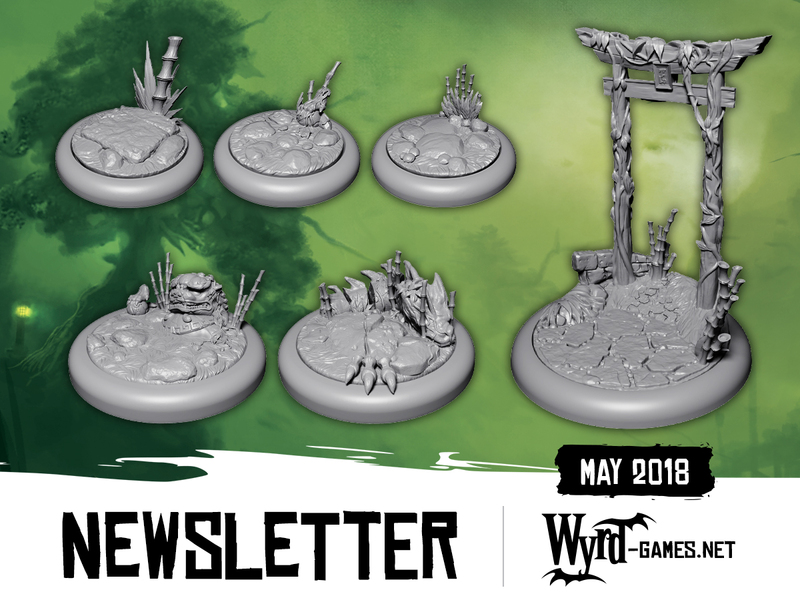 Their April one is up now, and you can check out what releases they've got in store for Malifaux, as well as some news about War of the Spirits, and Through the Breach. 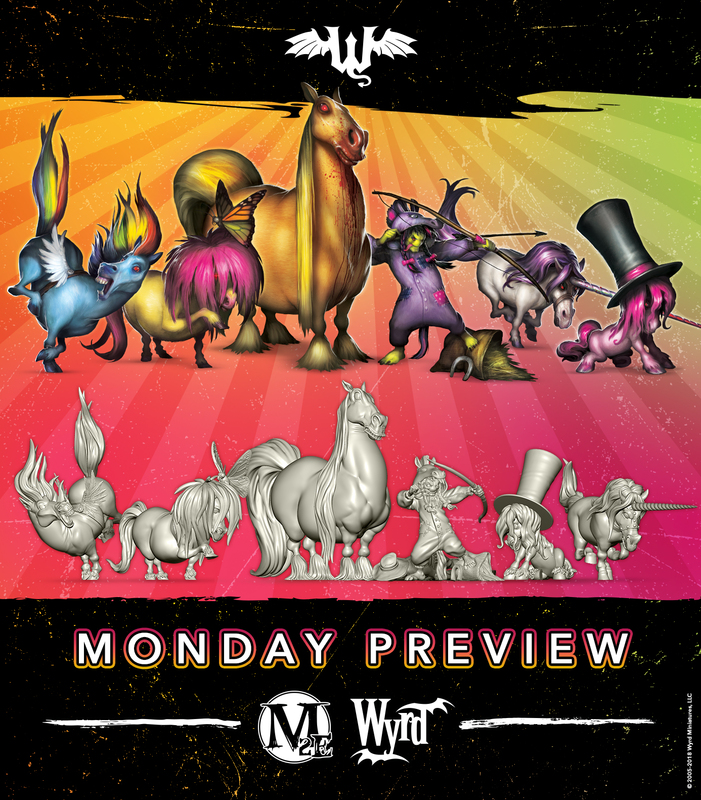 Wyrd loves to make Mondays better with a look at something they've been working on. In this case, it's a new expansion for Darkness Comes Rattling. It's called War of the Spirits, and we get a quick look at some artwork for the game as well as a little background on those being shown. Wyrd brings all sorts of characters to their games. Malifaux's got quite a big cast of figures of all types. The Other Side will be no different. In this week's preview, we take a look at the Raving Madman. Because why not? Today for lunch, they brought in Moe's. As it was free food, we all kinda dove onto it and went to town like mad. You'd think we'd not eaten in years! I think we were all Devouring Eels. 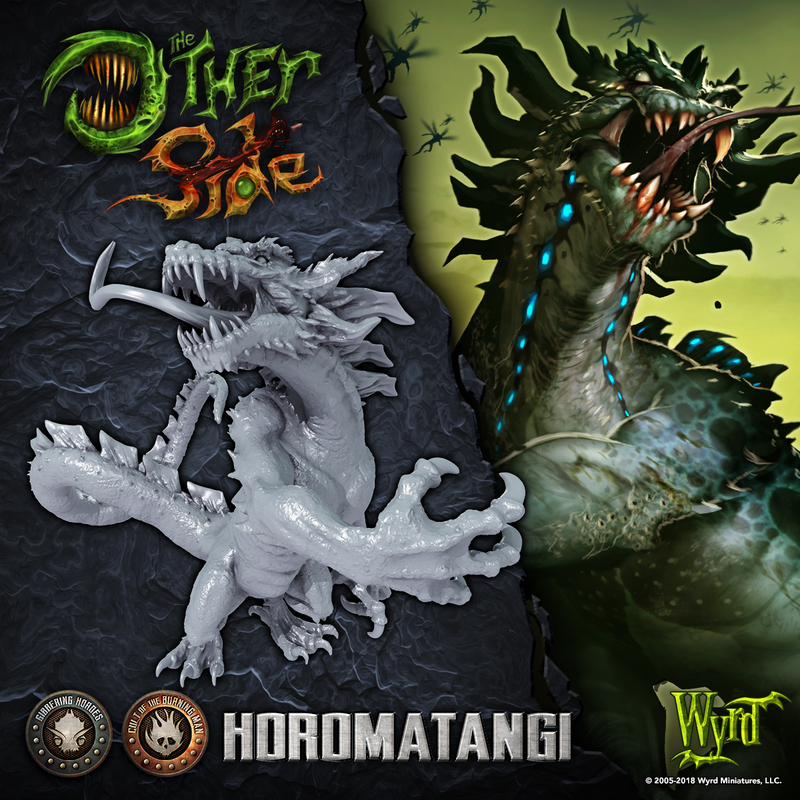 Good thing that's what we get a preview of here in Wyrd's regular look at the upcoming The Other Side miniatures game. 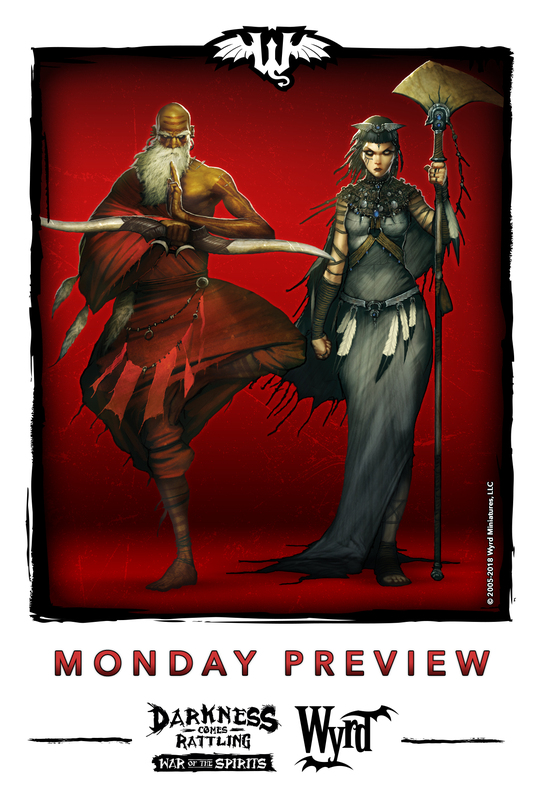 Fridays are always made better by Wyrd's previews for The Other Side. Today's no different. 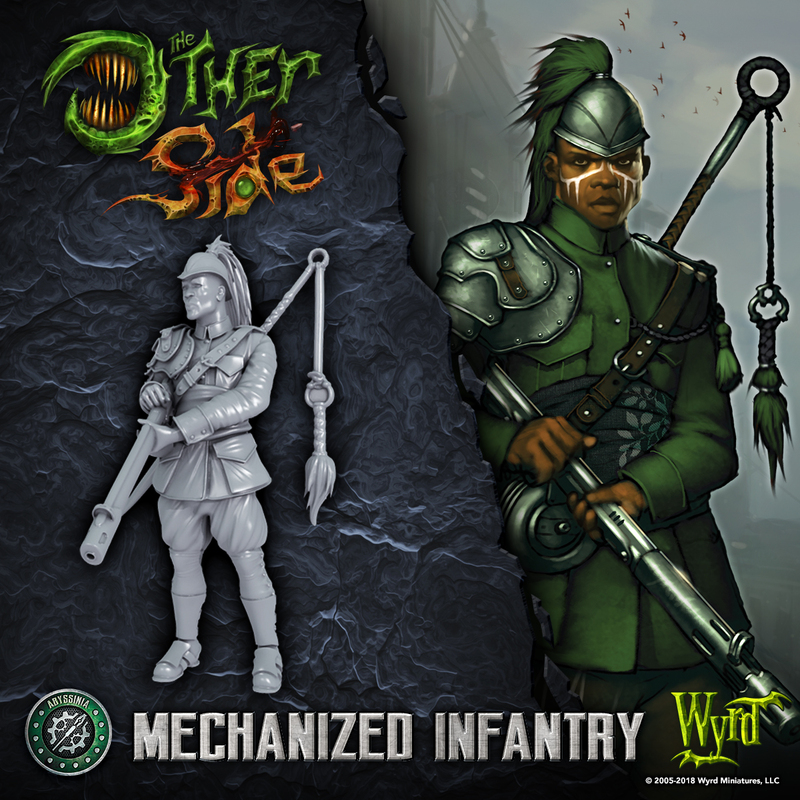 Today, it's a look at the Mechanized Infantry for the Abyssinian forces. They've got cool machine guns, and the ability to pilot a mech, should its current driver be neutralized. Have yourself a look.